Anna Glaser was not graced with an easy childhood, but grace she has. In spades. That is her only weapon to fight the misery of her life; becoming a prima ballerina is her sole focus. The rigor and discipline, the need for perfectionism soothes her troubled soul. 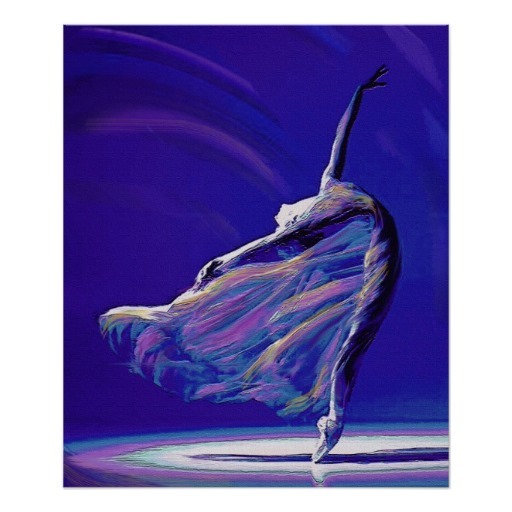 So when the cold and calculating artistic director of the company she fought so hard to enter, suggests she should give him something more than her dancing, she hates him, but that being in line with how she knows life, she is willing to succumb. Enter Cain Gilliam. The lead danseur is instantly smitten by the composed, withdrawn dark beauty. He sees that the director has designs for her outside the dance hall, and he is determined to intercept them. If only he was sure that that was what Anna truly wanted. And then it’s his own demons he has to keep at bay. But the stage’s wings hide danger in their darkness and soon Cain will have to protect more than Anna’s reputation. I picked this book up from Xpresso Book Tours because of its dance theme. If you expect Center Stage though, you will not find it here. This story is dark. Not only because life-threatening danger lurks backstage but because both the protagonists have a dark side. Anna is not the sweet girl you will effortlessly fall in love with. She keeps barbed wire around her, making sure no one enters her personal space. She fights her feelings for Cain, and she rarely lets the reader peek into her soul. She gave me a hard time too. It was only toward the end that I started getting Anna, and maybe if I was given more of her backstory instead of snippets through dialogue, liking her would have come easier. Cain also lacked sufficient backstory to help me fully understand his sometimes too intense reactions. Nevertheless, I enjoyed reading Adagio. Delancey Stewart knows her stuff. The rehearsals and dancing were super realistic, you could even smell the waxed floor and feel the agony in your own muscles. The rest of the characters–Cain’s roommates and Anna’s only girlfriend–were fleshed out and endearing. The writing itself showed spurts of brilliancy; some metaphors blew me away. Final verdict: a very readable book, expertly handling the theme, which I would have fully enjoyed had I been given deeper insight into the MCs’ psyche. The story was indeed a bit dark, although I liked how the story had a light and happy side and a darker side. I didn’t like the director of the company (I forgot his name alread) and I definitely understood why Anna didn’t want anything to do with him, what a creep! I hope we learn more about Anna and Cain in the next book!